Since being bought by KE Hotels in February 2018, the Abbey Hotel has gone through several exciting improvements. Now, five months after the successful launch of exclusive brasserie Koffmann & Mr. White’s, the hotel has unveiled a range of newly renovated bedrooms. Fully immersing guests in Bath’s thriving arts scene, the new rooms have been given a stylish makeover to cover three creative themes; film, art and photography. 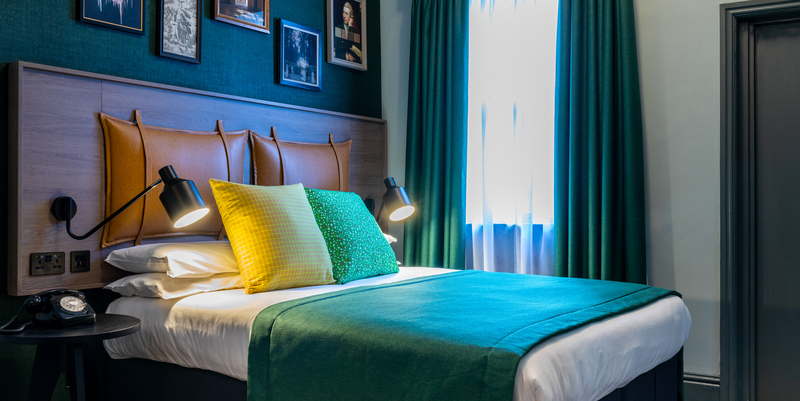 From modern lighting to framed artwork and vibrant colour schemes, the concept for each bedroom is based on the city’s connections to art and culture over the years. 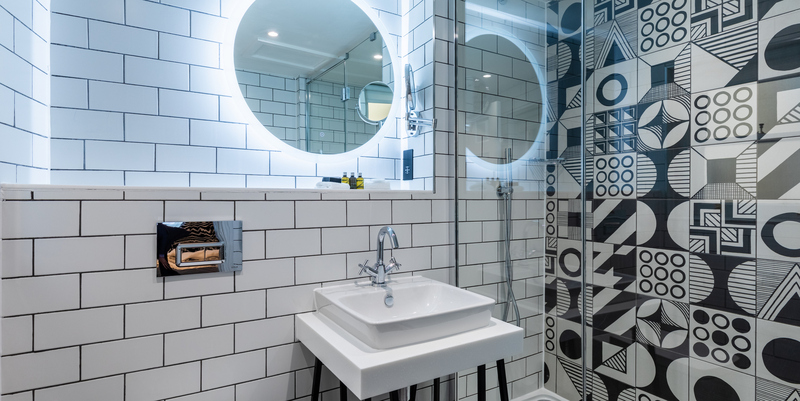 Each premium room has a modern en-suite bathroom with geometric black and white design, superior lighting and luxury shower facilities. Bath is home to an array of independent galleries and festivals that promote local artistic talent and the Abbey Hotel has long been known for hanging work by local artists in the rooms, restaurant and bar. The artistic style of the new bedrooms will be replicated in the Abbey Hotel’s ArtBar, which is also undergoing a makeover and will be open to the public at the end of March. Guests staying at The Abbey Hotel can also enjoy a good quality meal at the new on-site brasserie, Koffmann & Mr. White’s by culinary legends, Pierre Koffmann and Marco Pierre White. Hotel bookings can be made via email reception@abbeyhotelbath.co.uk or phone 01225 461603.